San Diego is the craft beer capital of the United States. What better way to celebrate that then to have an annual beer festival? 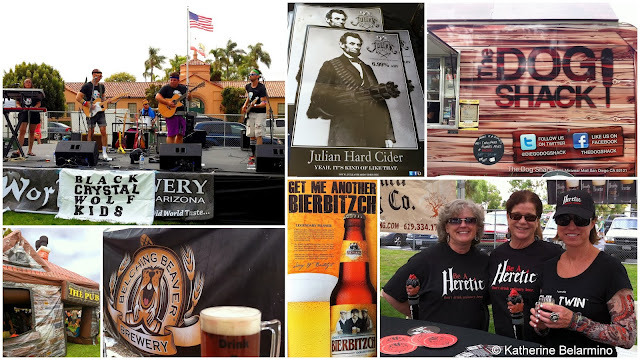 The third annual San Diego Brew Festival occurred on July 6 at Liberty Station, a former naval training center now turned outdoor retail, recreational, and cultural development. 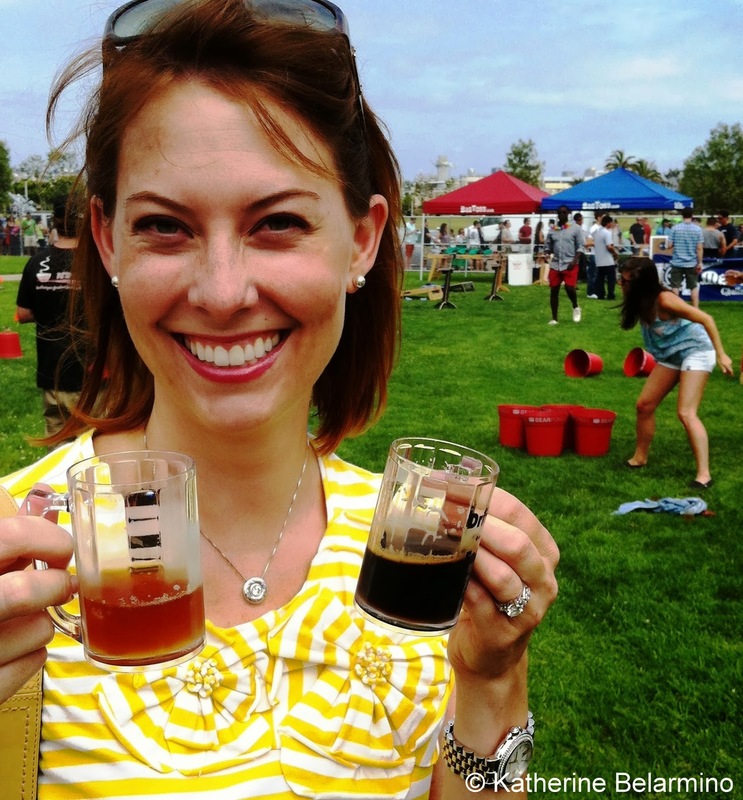 San Diego Brew Festival features local and non-local craft beers. There are also food trucks and live bands to provide food and additional entertainment. This year’s proceeds benefited Noah’s B-ark Pet Rescue, so the money goes to a good cause as well. and a bouncy pub are some of the fun things that can be found at the San Diego Brew Festival. The festival is three hours, or four hours if you purchase a VIP ticket. That may sound short, but in the end, we were done after an hour and a half. After all, there is just so much beer a person can sample and still remain upright! The price of admission includes all you can drink beer tastings in cute little plastic mugs. Seriously, how cute are these little mugs?! This year there were 57 breweries in attendance. We tried quite a number of them, and there were a few that really stood out for us. The first beer we tried was from Cismontane Brewing Company and was actually our favorite. I tried the Black’s Dawn, a strong coffee stout, and Romeo had the 3rd Anniversary Belgian Strong, a dark Belgian ale with a slight sweetness and fruitiness, perfect for a summer day, as long as you’re not going anywhere since it does have a 9% alcohol content. Another brewery with some interesting flavor combinations was Aztec Brewing Company. We tried the Noche de los Muertos, which is an imperial stout with a hint of cinnamon. Delicious! We also tried Julian Hard Cider’s Harvest Apple, made using a recipe originating from 1670, which really surprised us with how good it was. We also tried mead from Golden Coast Mead, an alcoholic beverage made from water and honey, which was brilliant and new to us both. On a non-beer related note, I also had a delicious corndog from The Dog Shack food truck. We also sampled (and purchased) some excellent beef jerky from Cow Bites Jerky. I recommend the Oklahoma Original and Blazin’ Horns varieties. If you are a beer lover, make sure to plan a trip to San Diego around the summer San Diego Brew Festival. Tickets can be purchased through San Diego Brew Festival’s website and you can also follow them on Facebook to receive notice as soon as the dates are set and to get other updates. Be sure to buy tickets early. General admission tickets sold out this year, and tickets can be obtained at a discount if purchased early. Also, arrange for a taxi, friend or family member to drive.